No, unfortunately we weren’t blessed with the powers of superhuman strength, lightning speed, x-ray vision, heat vision, super breath or the ability to fly! We were, however, blessed with one power (that Christopher Reeve alluded to in his quote above) and that, my friend, is the power of CHOICE! Now we can use this power wisely by making smart decisions that will create an amazing life for ourselves…. or we can blindly choose an unconscious path that leads us astray. There’s no right or wrong here… it’s simply the power of our choice and the consequences they yield! Sadly, few people rarely take the time to consider how their food choices impact their health, mental acuity, strength, energy levels and overall vitality and well-being. Are YOU making the wrong food selections? 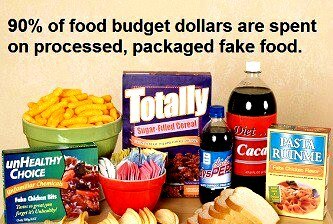 Psuedo-foods are FAKE foods with zero nutritional value and packed full of empty calories which do nothing but make you fat, promote disease and rob you of your health. These foods are promulgated by an industry full of money-hungry, billion-dollar conglomerates whose only goal is to get you to trade your last precious dollar for their delicious, scientifically engineered laboratory creations. The harsh reality is that the foods you choose to ingest on a daily basis can either make you SUPER AWESOME or SUPER DEAD! 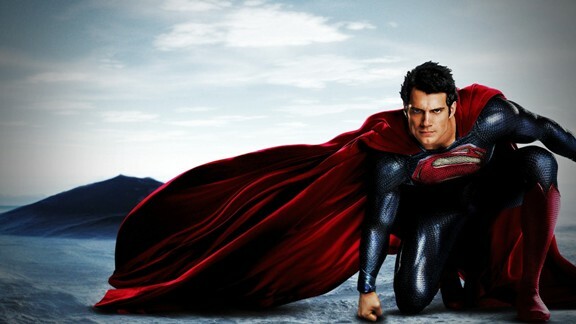 The choice is yours… and I hope you (like Superman) have the wisdom and maturity to use your power wisely. 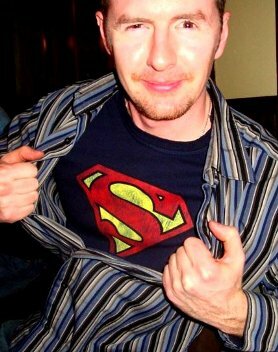 This looks like a job for….SUPER BRAN!!!! With the recent release of “Man of Steel” in the Theatres and the culmination of the “supermoon“, I thought I’d list the top Superfoods I consume throughout the week. These are the vital nutrients which give me my secret powers and raw, unbridled masculinity! …and IF you’re lucky, the ability to leap over tall buildings with a single bound! To reap the most benefits I recommend buying Organic fruits and vegetables, wild-caught fish, free-range poultry and grass-fed beef. It’s also a good idea to always choose foods that are as fresh and local as possible. I know this isn’t always feasible, so do the best you can within your means. Almond Milk is a great alternative to cow’s milk and perfect for people who are lactose intolerant, have milk allergies or dislike the taste of regular milk. It is fortified with many nutrients such as calcium, Antioxidant’s Vitamin A & E, and Vitamin D, which is essential for strong bones, teeth and immunity. Almonds are rich in vitamin E, calcium, magnesium and potassium. Additionally, almonds are a significant source of protein, healthy fats and fiber. Magnesium is important for muscle contraction and relaxation and plays a pivotal role in energy production. Apple Cider Vinegar is a type of vinegar made from the fermentation of apple cider. This potent elixir helps to detoxify and purify the body, balance the body’s pH, improve skin, digestion, and a host of other benefits too numerous to list here. Apples are full of healthy carbohydrates, antioxidants, fiber, vitamins and minerals. Apples also contain very high concentrations of pectin. Pectin is a type of soluble fiber which has a number of benefits including digestive health and anti-cancer properties. Bananas are one of our best sources of potassium, an essential mineral for maintaining normal blood pressure and heart function. They are exceptionally rich source of fructooligosaccharide, a compound called a prebiotic because it nourishes probiotic (friendly) bacteria in the colon. Beetroots one of the richest dietary sources of antioxidants and naturally occurring nitrates. Nitrates are compounds which improve blood flow throughout the body – including the brain, heart, and muscles. These natural nitrates increase a molecule in the blood vessels called nitric oxide, which helps open up the vessels and allows more oxygen flow. Bison (buffalo) is a superb alternative to factory-farmed produced meat from domestic livestock. Nutritionally, you get more protein and nutrients with fewer calories and less fat. The meat from bison is more nutrient dense because of the proportion of protein, fat, minerals, and fatty acids to caloric value. Blueberries have the highest antioxidant capacity of all fresh fruit. They are very rich in antioxidants like Anthocyanin, vitamin C, B complex, vitamin E, vitamin A, copper (a very effective immune builder and anti-bacterial), selenium, zinc, and iron. Blueberries preserve vision, boost brain health and prevent heart-disease. Broccoli contains a high amount of nutrients which helps maintain a healthy nervous system and optimal brain function, as well as promotes regular muscle growth. Broccoli is beneficial for the immune system and for preventing cancer. It also helps protect and strengthen your bones, heart and eye health. Cruciferous vegetables like brussel sprouts, broccoli, radishes, cauliflower, cabbage and many others on this list, offer a unique composition of antioxidants that provide many health benefits. They also contain indoles which help reduce estrogenic hormones in the body. This leads to increases in free testosterone for men and reduces risks of breast cancer for women. The surprising truth is that real butter is good for you! The saturated fat in butter consists of short and medium chain fatty acids which have anti-tumor properties and also strengthen the immune system. It’s rich in anti-oxidants including vitamins A and E, plus it also contains conjugated linoleic acids (CLA) which protect against cancer. Cabbage is very rich in fiber. This helps the body retain water and it maintains the bulkiness of the food as it moves through the bowels. Cabbage acts as a good detoxifier by purifying the blood and removing toxins like free radicals. It also contains iodine, which helps with proper functioning of the brain, the nervous system, and the endocrine system. Carrots have few rivals when it comes to beta-carotene. Beta-carotene may ward off cancers of the stomach, cervix, uterus, and the oral cavity, and it helps prevent heart disease due to its antioxidant abilities. Though extra vitamin A won’t help you see better, its antioxidant properties may help prevent cataracts and keep your eyes healthy. Cashews are rich in iron, phosphorus, selenium, magnesium and zinc. They are also good sources of phytochemicals, antioxidants, and protein. They are ripe with proanthocyanidins, a class of flavanols that actually starve tumors and stop cancer cells from dividing.They also provide oleic acid, the same heart-healthy monounsaturated fat found in olive oil. Celery may be low in calories, but it certainly isn’t lacking in nutrition. Celery contains pthalides, which have been shown to lower blood pressure by relaxing the muscles around the arteries and allowing vessels to dilate. The calcium, magnesium, and potassium in celery also helps regulate blood pressure. Cheese doesn’t get enough credit for it’s health benefits which include things like cancer prevention, bone strengthening, and cavity fighting – but the best part is that is also tastes great! There is a very high concentration of essential nutrients in cheese including high quality proteins and calcium, phosphorous, zinc, vitamin A, riboflavin, and vitamin B12. Chicken is low in fat and calories and high in protein, which makes it ideal for building lean muscle mass. This bird is jam-packed full of essential nutrients and vitamins. Chicken is also rich in phosphorus, an essential mineral that supports central nervous system function. It’s abundant in selenium, an essential mineral involved in metabolic performance. Eating coconuts are excellent for one’s immunity. They are antiviral, antifungal, antibacterial, and anti-parasitic, meaning they kill harmful bacteria, viruses, fungi, and parasites. Coconuts are a delicious and nutritious source of fiber, vitamins, minerals, and amino acids. It has tons of calcium, potassium, and magnesium, as well as plenty of electrolytes. Coconut oil is thought to possess healing properties above and beyond that of any other dietary oils. It contains all of the benefits of eating coconuts as listed above and is a perfect oil for cooking with. Coconut oil is composed predominately of medium-chain fatty acids (MCFA). MCFA help to lower the risk of both atherosclerosis and heart disease. Coffee may make you healthier, smarter, and slimmer — but not if you drown it with sugar and cream. Coffee is a very complex beverage containing hundreds of different chemical compounds. Not only is it a powerful stimulant, it contains high doses of antioxidants and has been show to lower your risk of type II diabetes, Alzheimer’s and Parkinsons. Collard Greens are loaded with disease-fighting beta-carotene and offer respectable amounts of vitamin C, calcium, and fiber. Dark, leafy greens are also a good source of antioxidants, magnesium, and the B-vitamin team of folate and B6 (good for heart health). Collard Greens are also rich sources of phytonutrients, such as the carotenoid called lutein and lipoic acid. Cucumbers are a nutrient dense food that is low in calories and fat and high in vitamins and minerals. Cucumbers have a 96% water content that is more nutritious than regular water, which helps in keeping the body hydrated and regulating body temperature. It also helps in flushing out toxins from the body. Dried fruits are some of the healthiest alternatives to refined sugar, and they are an excellent way to satisfy a sweet craving. In its purest form, dried fruit is just fresh fruit with the water removed. Dehydration, in fact, causes some nutrients to become more concentrated. Be sure to avoid dried fruits with added sugars. Eggs have long been recognized as a source of high-quality, bio-available protein. Eggs set the standard for proteins and provide a complete range of amino acids, including branched chain amino acids (leucine, isoleucine, valine), sulfur-containing amino acids (methionine, cysteine), lysine, tryptophan, and all other essential amino acids. Garlic has been called a natural antibiotic because it fights against bacteria and viruses associated with colds and flu. Garlic contains high levels of manganese, calcium, vitamin B1, B6 and C, phosphorous, copper, potassium, selenium and tryptophan. With all this going for it, garlic boosts the immune system. Ginger’s most well-known medicinal use is as a digestive-aid, to relieve stomach pain, nausea and diarrhea, as well as morning sickness and travel sickness. This is thought to be because of the spice’s high levels of gingerol; a powerful component that gives it its natural zingy flavor, and which acts as an anti-inflammatory in the body. Greek yogurt can deliver as much protein as eating meat and contains probiotics. Probiotics can not only improve your digestive health and keep the bacteria in your gut healthy, they can also boost your immune system and keep you well. Greek yogurt is also a great source of calcium, which is key in bone and teeth health, as well as, heart and nerve function. Green beans are one of the healthiest vegetables that you can eat. Green beans of any variety are low in calories and contain good-for-you nutrients such as protein, dietary fiber, calcium and iron. One cup of raw green beans has more than 200 mg of potassium, plus beta carotene and vitamin A. The greener the leaf, the more nutrients it provides. Green leaf lettuce makes a nutrient-dense choice delivering fiber, iron and B vitamins together with a boost of several other vitamins such as vitamin C & vitamin K. Green leaf lettuce contains vitamin A in the form of three carotenoids: beta-carotene, lutein and zeaxanthin. Green tea is the best food source of a group called catechins. Catechins are more powerful than vitamins C and E in halting oxidative damage to cells and appear to have other disease-fighting properties. Studies have found an association between consuming green tea and a reduced risk for several cancers, including, skin, breast, lung, colon, esophageal, and bladder. Honey is so sweet and comforting that many people don’t give its healing abilities a second thought. Raw honey has anti-viral, anti-bacterial, and anti-fungal properties. It promotes body and digestive health, is a powerful antioxidant, strengthens the immune system, eliminates allergies, and is an excellent remedy for skin wounds and all types of infections. Kale is an amazing vegetable being recognized for its exceptional nutrient richness and delicious flavor. Kale’s health benefits are primarily linked to the high concentration and excellent source of antioxidant vitamins A, C, and K — and sulphur-containing phytonutrients. Vitamin K is abundant in kale which can reduce the overall risk of developing or dying from cancer. Kefir is a creamy, drinkable fermented milk that tastes something like buttermilk. It’s full of naturally occurring bacteria and yeast as the result of the fermentation process. Kefir is loaded with vitamins, minerals and easily digested protein. It can even be consumed by the lactose intolerant because the yeast and bacteria provide the enzyme lactase. Kelp, which can include several species of a common sea vegetables, is a wonderful, life-saving food. Kelp is a major source of iodine—a necessary mineral in our bodies. The thyroid gland, for example, needs iodine to do its work properly. Yet many are iodine deficient. Kelp supplies the well-known trace elements such as copper, zinc, manganese, chromium. Kidney Beans are reddish brown legumes used in a variety of dishes. This wholesome and nutritious bean is used to make chili, soups and rice dishes. Kidney beans are an exceptional source of protein, fiber and carbohydrates. They also contain folate which works against heart disease and other cardiovascular illnesses. The kiwi is a small fruit that packs a wallop of nutrition. Ounce for ounce, it contains more vitamin C than an orange. The fiber in kiwifruit may be an effective against a number of ailments. Kiwi is a good source of vitamin E, magnesium, potassium, and copper, all of which may function separately or together to protect the cardiovascular system. Lemon helps the liver to dump toxins by stimulating its natural enzymes. Citric acid can help eliminate calcium deposits in the arteries as well as pancreatic and kidney stones. Lemons are rich in flavonoids. Flavonoids not only help boost the potency of vitamin C, they improve blood flow, helping to maintain normal blood pressure and reduce inflammation. Miso is a traditional Japanese fermented food that has been growing in popularity worldwide. Miso is unusually rich in nutrients. Like other fermented foods, miso increases the concentrations of beneficial bacteria in the digestive tract. These probiotic organisms don’t just aid in digestion, but also play an important role in strengthening the immune system. Nut butters have become popular in the health world in recent years—and for good reason! Nut butter is a great source of healthy fats, which are important for regulating your energy, mood, and even your weight. However, some nut butters also deliver a more unexpected benefit: They’re great for your bones! The health benefits of olive oil are extensive with new positive attributes discovered all the time. Olive oil is rich in antioxidants, especially vitamin E, long thought to minimize cancer risk. Among plant oils, olive oil is the highest in monounsaturated fat, which doesn’t oxidize in the body, and it’s low in polyunsaturated fat, the kind that does oxidize. Oranges are highly beneficial for your body. They are full of soluble fiber, which is especially beneficial for lowering cholesterol levels. Oranges, and other citrus fruits, are chock-full of vitamin C. One of the roles of vitamin C is to protect cells by neutralizing free radicals. Oranges also provide potassium, an electrolyte mineral responsible for normal heart function. Parsley is a little Mediterranean herb that lends a sprinkling of color to your plate. Parsley is rich in many vital vitamins, including Vitamin C, B 12, K and A. This means parsley keeps your immune system strong, tones your bones and heals the nervous system, too. The folic acid in this herb is like a tonic for your heart. Although many diets discourage the consumption of pasta, this grain-based food can be quite beneficial for a variety of nutritional goals. Generally, pasta is rich in complex carbohydrates and low in fat. Carbohydrates are your body’s primary fuel source, so eating carbohydrate-rich foods can be of particular benefit to athletes. Peas are little powerhouses of nutrition that are low fat but high everything else. Peas contain protein, fiber, vitamins, minerals and high amounts of a health-protective polyphenol called coumestrol. The high fiber content in peas improves bowel health.Although considered a vegetable, green peas really are a fruit since they contain seeds developed from a flower. Pecans contain more than 19 vitamins and minerals – including vitamin A, vitamin E, folic acid, calcium, magnesium, phosphorus, potassium, several B vitamins and zinc. Pecans contain different forms of the antioxidant vitamin E—known as tocopherols, plus numerous phenolic substances, many of them with antioxidant abilities. Peppers add a flavorful kick to your meal, plus they’re loaded with vitamins and disease-fighting properties. All peppers are rich in vitamins A, C, and K, but red peppers are simply bursting with them. Besides being rich in phytochemicals, peppers provide a decent amount of fiber. The capsaicin in hot peppers has been shown to decrease blood cholesterol and triglycerides. Pineapple is a remarkable fruit. Not only does it have a sweet and exotic flavor, but it also contains Bromelain, a proteolytic enzyme, that is the key to pineapple’s value. Proteolytic means “breaks down protein”, which is why pineapple is known to be a digestive aid. It helps the body digest proteins more efficiently. Bromelain is also considered an effective anti-inflammatory. Pumpkin seeds have long been valued as a source of the mineral zinc, which is very important for the production of natural testosterone. They have large amounts of minerals that include copper, iron, manganese, magnesium and phosphorus. Pumpkin seeds are full of protein healthy fats. They also protect against prostate cancer and help prevent the formation of kidney stones. Radishes are part of the Brassica family, otherwise known as cruciferous vegetables. Research suggests that the antioxidants and other compounds in cruciferous vegetables help in the prevention of cancer. Radishes stimulate the production of bile. Maintaining a healthy level of bile production is beneficial for digestion, as well as liver and gallbladder health. Raspberries are low in calories and saturated fats but are rich source of dietary fiber and antioxidants. They have a low caloric density and possess high levels of phenolic flavonoid phytochemicals with proven health benefits. Fresh raspberries are an excellent source of vitamin C, which is a powerful natural antioxidant. Red leaf lettuce packs a high nutritional value, far superior to iceberg lettuce, into very few calories. Additionally, red leaf lettuce is an excellent source of beta carotene, which may be indicated in reducing risk for developing cataracts. Green and red leaf lettuces are essentially the same from a nutritional standpoint and in many other ways. Rice is a rich source of carbohydrates and acts as fuel for the body and aids in normal functioning of the brain. Rice is an excellent source of vitamins and minerals like niacin, vitamin D, calcium, fiber, iron, thiamine and riboflavin. Whole grain rice is not processed much, therefore it is higher in nutritional value compared to white rice, which has the bran removed. Romaine lettuce is a highly nutritious leafy green. It’s extremely low in calorie content with a high water volume. It is rich in vitamin A, vitamin K, folate, vitamin C, manganese, chromium, vitamin B1, vitamin B2 and the minerals like potassium, molybdenum, iron and phosphorus. Romaine is rich in so many vital elements for the body making it a very beneficial food. Salmon’s reputation as a healthy food is largely based on its unusual omega-3 fatty acid content. Studies have demonstrated an association between brain health and a diet rich in omega-3 fatty acids. Salmon is also an excellent source of protein and rich in other properties, such as vitamin D and selenium, each of which have their own powerful health benefits. Sardines are rich in numerous nutrients that have been found to support cardiovascular health. They are one of the most concentrated sources of the omega-3 fatty acids EPA and DHA and are a great source of protein, vitamin D, calcium, selenium and phosphorus. Sardines also contain lower levels of toxins (such as mercury and PCBs) than many other types of fish. Sauerkraut, which is fermented cabbage, combines the health benefits offered by all cruciferous vegetables with the probiotic advantages derived from the fermentation process. Sauerkraut is a source of a wide range of beneficial living bacteria which assist in the digestive process. It also provides phytonutrient antioxidants with anti-inflammatory properties. Scallions, also known as spring onions, are a good source of an antioxidant called quercetin, a natural compound which helps to lower the risk of stomach and colon cancer. A diet rich in quercetin may also lower the risk of heart disease and ease the symptoms of allergy due to their antihistamine-like effect. Shiitake mushrooms are a great addition to the diet because they are known for their immune system support. They contain lentinan, which makes our immune system strong, helping to fight off disease and infection. Shiitake mushrooms also contain a compound called D-Eritadenine (DEA), which helps lower cholesterol and supports cardiovascular health. Shrimp may be small in size, but they are huge in terms of nutritional value being loaded with protein, vitamin D, vitamin B3, and zinc. Shrimp contain astaxanthin, a carotenoid that gives them their pink color and that can act as a potent antioxidant and protect the skin from premature aging. The omega-3 fatty acids in shrimp also provide antioxidant protection. Spinach is a nutrition superstar, even a fairly good source of iron. It’s loaded with vitamins and minerals, some of which are hard to find in other foods. As a dark, leafy green, spinach possesses several important phytochemicals, including lutein, which helps prevent age-related macular degeneration. Spinach also contains lipoic acid, which helps vitamins C and E regenerate. Sprouted-grain bread is an ancient food with modern-day benefits. The flour made from sprouted grains provides more protein, vitamins and minerals than refined flours. This is due to specific biochemical changes during germination that increase the accessibility of vitamins and capture proteins and carbohydrates in an enhanced states. Strawberries have grown wild for millennia throughout the world and contain more vitamin C than other berries. They are loaded with phytonutrients, plant chemicals that contain protective, disease-preventing compounds, which have been shown to offer many health advantages. Strawberries are also good sources of manganese, iodine, potassium, and folate. Sunflower seeds are an exceptional source of vitamin E, which aids in the prevention of cardiovascular disease. They are particularly rich in magnesium which is necessary for strong bones. The copper found in sunflower seeds is vital for the function of enzymes involved in cross-linking collagen and elastin, providing strength and flexibility in bones and joints. Sweet potatoes are nutritional powerhouses that add several important components to the diet. They contain almost twice as much fiber as other types of potatoes and are a great source of starchy carbohydrates. Sweet potatoes are rich in Beta-carotene or vitamin A, which is a powerful antioxidant. In addition, sweet potatoes contain high amounts of potassium. Swiss chard is a leafy green with a healthy rainbow of stem colors. The reason Swiss chard is so colorful is because it is one of the most antioxidant-rich foods on the planet. It contains beta-carotene, vitamin E, vitamin C, zinc, lutein, zeaxanthin, quercetin, kaempferol, and many other disease fighting antioxidants. Tomatoes are often considered a vegetable, though in actuality they are a fruit. Tomatoes contain amazing amounts of lycopene, which is the antioxidant that gives them their red color. Studies have shown that tomatoes can reduce prostate cancer especially in synergy with broccoli. They are powerful blood purifiers and help clear up urinary tract infections. Turkey is a nutrient rich food, making it a healthy choice year-round. There are about 32 grams of protein in a 4-ounce serving of turkey, making it a very good source of essential amino acids. Without the skin, turkey is naturally low in fat. A little-known health benefit of turkey is that it contains trace minerals thought to aid in cancer prevention. Turmeric is a culinary spice widely used in Southeast Asia. Turmeric’s key ingredient, Curcumin, is known for its anti-bacterial and anti-inflammatory properties. The health benefits of Turmeric have been recognized by Chinese and Ayurvedic medicine for hundreds of years. It has been used to treat a plethora of everyday problems and diseases. Walnuts are revered as a symbol of intelligence since their kernels resemble the brain. Walnuts are rich in monounsaturated fatty acids like oleic acid and an excellent source of all important omega-3 essential fatty acids. The nuts are an excellent source of energy and contain healthy nutrients, minerals, antioxidants and vitamins that are essential for optimum health. Whey has been proven to help you build muscle, improve physical performance, sharpen your mind, enhance circulatory system function, and also has potent anti-aging effects. It also enhances the production of the body’s most powerful natural antioxidant – Glutathione. It also has the highest levels of BCAA’s, which boosts immune system functioning. Red wine, in moderation, has long been thought of as heart healthy. The alcohol and antioxidants in red wine may help prevent heart disease by increasing levels of “good” cholesterol and protecting against artery damage. Resveratrol is a key ingredient in wine that helps prevent damage to blood vessels, reduces “bad” cholesterol and prevents blood clots. Now that you know some of the amazing health benefits of these 72 Superfoods you can see why they line the shelves of my own fridge, cupboards and pantry. I hope with this realization, you too will be adding them to your own grocery list and nutrition strategy. Therefore, I encourage you to research and explore these foods in more depth. This list is just a great starting point. Remember, “you are what you eat“, meaning that the foods we eat literally become a part of us at the cellular level. By selecting the superfoods from this list you provide the ‘fuel’ for your body and mind to run efficiently and at their highest, superhuman capacity. Great information all around. Thanks for sharing with everyone. I have to note that Rice actually contains arsenic and should be avoided if you value your brain 🙂 There’s ways to cook organic rice to reduce arsenic – by soaking overnight and then rinsing with hot water in the morning. Other questionable foods from your list are shrimp(contains pollutants) miso (contains soy which inhibits testosterone) kale(arsenic) and Brussel sprouts (arsenic). This is why Paleo diet advocates against grains because most of them contain inorganic poisons from the soil. I would instead replace Rice with Chia Seeds which is a great source of protein and vitamins and it’s a true super food!